A special lecture-performance that investigates Antonio Stradivari’s secredts. Starting with the Amati family, who in the middle of the 16th century first conceived the violin as it is known today, this lecture-performance spans the centuries, investigating the secrets of the greatest luthier of all time: Antonio Stradivari from Cremona. What made his instruments achieve musical perfection? 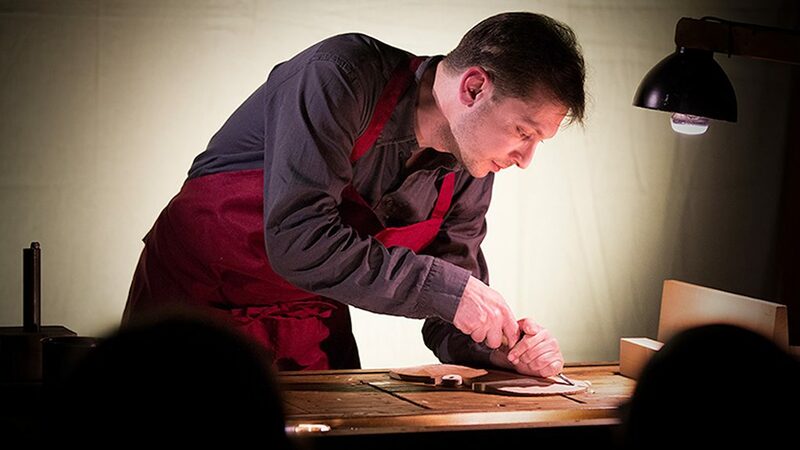 Matteo Fantoni is not looking for answers, but rather takes the audience on a fascinating journey in which each individual component (sound, wood, tools…) is part of the Universe – of Life and Death.